Your freedom could be at stake. Call Frank Genesee today and find out if you have a defence. Consider the consequences of a criminal conviction. 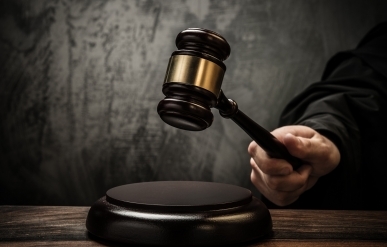 Have you fully considered the consequences of a criminal conviction? Many people who decide to plead guilty to a criminal charge do so to “get it over with” or “put the whole thing behind them.” Unfortunately, these people may not have realized all of the ramifications of pleading guilty to a criminal charge. If you plead guilty, you will be convicted of the charges that have been laid against you. You will have a criminal record. Before you plead guilty, make sure that you fully understand what you are getting into. Frank Genesee, an experienced criminal defence lawyer in Hamilton, will explain to you what will happen if you plead guilty or if you are convicted after a trial. Frank Genesee will also set out any other options that are open to you, and which may allow you to avoid a criminal conviction. Speak to Frank Genesee today, before you enter your plea. Call (289) 426-1644 to arrange for a free consultation. Many people facing criminal charges get so stressed out about having to go to court that they don’t give much thought to what will happen afterwards. Once you have paid your fine or served your jail term or probation, it’s over, right? Not necessarily. Unfortunately, there are often long-term consequences associated with having a criminal record. The loss of your professional license. The inability to pursue certain job opportunities, education or training (some fields of employment will be unavailable to you if you have a criminal record). Restrictions to your ability to travel for work or for pleasure. The seizure of your house, property or vehicle if it was used in association with certain drug-related offences. Contact Frank Genesee today to find out how your life will be affected, over both the short and long term, if you are convicted of the charges against you. 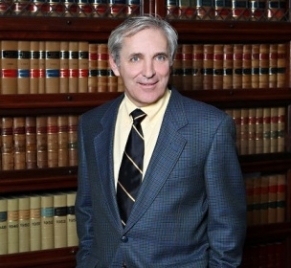 As a skilled and experienced criminal defence lawyer, Frank Genesee will ensure that you understand all the potential penalties and consequences that you are facing and that you know your options. Having the charges against you dismissed if the case against you is weak. Having illegally obtained evidence excluded from court. Advising you about the availability of diversion programs for certain offences. Arguing for the best possible sentence if you are convicted. Ignoring your problems is not going to make them go away. You don’t have the skill or knowledge to effectively deal with the criminal charges that you are facing. That is why you need Frank Genesee on your side. Never plead guilty to any criminal charges without fully understanding the potential consequences and knowing all of your options. Even if you think you will plead guilty, contact Frank Genesee before you enter your plea to be sure that you have all the facts you need to make an informed decision.